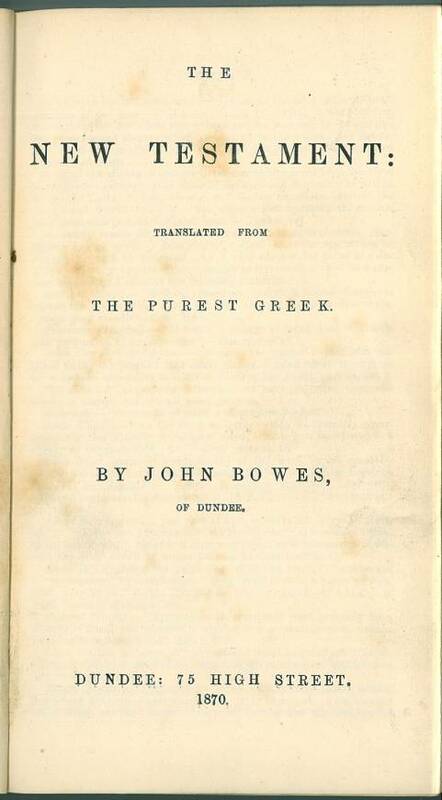 John Bowes [1804-1874] - Yorkshire native of godly parentage, self-taught student of the Word of God, and minister in the Primitive Methodist Church. Bowes later shunned denominationalism and became a "Bible-alone" advocate. For sample verses from the translation by John Bowes, click here. Title: The New Testament: Translated from the purest Greek. By John Bowes, of Dundee. Dundee: 75 High Street. 1870. 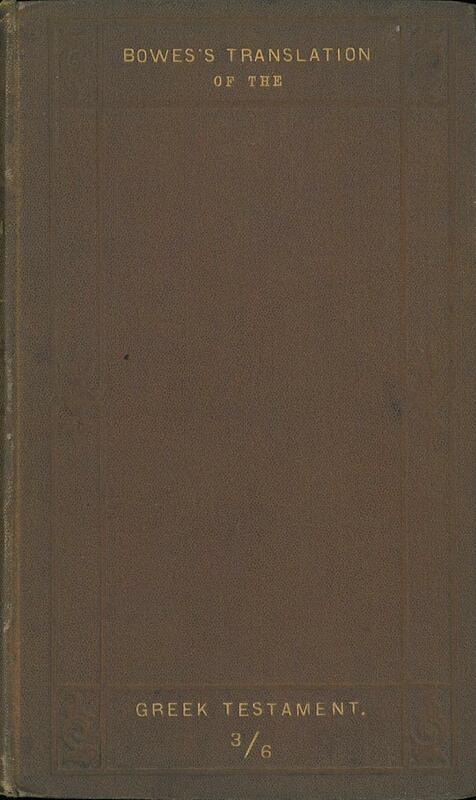 Description: 12mo title,preface, A-2F62E62G4 (Title, Preface, 1-402, 2 pages of Advertisements). References: Chamberlin p. 560-2; Herbert 1984, Taliaferro CN00240, Taliaferro-EELBV 7530. Comments: In this translation, the Greek word baptize is translated as immerse. See the sample verses from Mark 1.